The 'Dream Along with Mickey' castle stage show that has had a run for nearly 10 years will be coming to an end in early April. A new show will take its pace in summer of 2016. 'Mickey’s Royal Friendship Faire' will follow the tale of Mickey and his gang gathering guests for their festival. Goofy has brought Tiana, Naveen and Louis. Donald and Daisy have brought Rapunzel Flynn Rider and some other character from the Snuggly Duckling. Mickey himself will bring Olaf, Anna and Elsa rounding out the party. The new show will include an original song and special effects magic. Dream Along with Mickey has been a constant in the parks each time we go. You can almost guarantee the show going on every time you need to pass through the hub. I wouldn't say I'll miss the show all that much but I do feel a little bad for taking advantage of it all these years. I was just mentioning to my wife that we should stop and actually watch the full show next year. Unfortunately we won't get to do that. How do you feel about the new castle stage show and will you miss the old one? Theme park news and tips for planning your trip. Star Wars: Don’t Worry, Nothing Ever Really Changed, The Bad Man Can’t Hurt You Anymore. 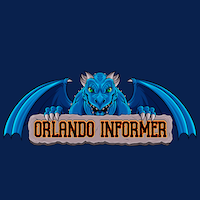 I host the Orlando Informer Podcast. Give it a listen.